Important information for those facing sexual assault charges. More so than with any other criminal charge, there is a stigma attached to the charge of sexual assault. That means that even if you are never convicted, you risk suffering permanent damage to your reputation, your career and your family. You can’t deal with this alone! 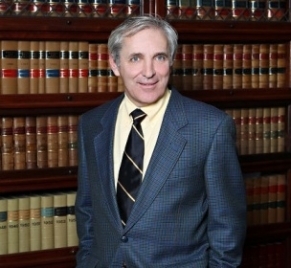 Frank Genesee is a criminal defence lawyer in the Hamilton area and has helped others in your situation. Do not assume that you will be found guilty. Contact Frank Genesee immediately, before you enter a plea, to ensure the best possible outcome. Which part of the body was touched? What was the nature of the touching? What were the circumstances surrounding the incident? What words or gestures accompanied the act? Frank Genesee will ensure that you fully understand the nature of the charges that you are facing and help you assess your options. The challenges of dealing with historical sexual assault charges. These terms may still be used today when sexual assault allegations of a historical nature are made. It is not unusual for sexual assault allegations to be made many years after the alleged incident, particularly when the incident involves a child. Historical sexual assault charges can be particularly difficult to defend against. The memories of witnesses fade over time. Vital witnesses may have died or disappeared. Physical evidence may have been destroyed. Frank Genesee has the skill and expertise required to tackle the particular challenges of defending you against historical sexual assault charges. Contact Frank Genesee today. What Frank Genesee can do for you. Assess the credibility of the alleged victim. Determine the best way to present your side of the story. Demonstrate your credibility to the court. Cross-examine the alleged victim to challenge their credibility and bring out your side of the story. Call Frank Genesee today if the only thing standing between you and a possible conviction is your credibility. The media tends to seize upon sexual assault cases with particular enthusiasm. In order to protect your reputation from potentially irreversible damage, it is vital that you call Frank Genesee as soon as the police contact you regarding a sexual assault allegation. Don’t wait until the police lay charges against you! You need expert advice from Frank Genesee regarding the best ways to deal with both the police and the media. While Frank Genesee will not be able to prevent the media from publishing any particular story, it may be possible to balance the story by presenting your side. You should never attempt to communicate with the media directly. It is far too easy for them to twist your words and present your story in a bad light. When facing sexual assault charges, your best course of action is to allow Frank Genesee to speak to both the police and the media on your behalf. Contact Frank Genesee as soon as possible. You need the expertise of Frank Genesee on your side for the best possible outcome. The earlier you get Frank Genesee on your side, the better! Call today!